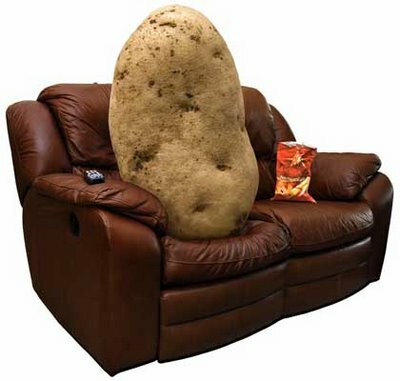 Thanks for stopping by The Reformed Couch Potato. If you don’t know me, let me paint a down-and-dirty meet-the-author picture for you: I proudly considered myself to be a couch potato for the first 30 years of my life; used to make residential dwelling decisions based on proximity to Taco Bell; and married the most freakishly tidy and let’s-accomplish-everything-on-our-day-off guitarist rock star in the world. I now consider myself to be a “reformed couch potato” as I have gotten my health on track and–albeit with great reluctance, constant reminding, and casual whining–become a vastly more considerate “roommate” to my darling better half (though I still don’t iron and am not even allowed to make the bed due to my inability to form an approved “hospital corner”–whatever that is). My point? I am no stranger to laziness and procrastination. I was blessed with a super-fast metabolism that kept the chalupa pounds off (thanks, mom!) but was cursed with a genetic predisposition for high cholesterol (thanks, dad!) and was shocked to learn that eating terribly and avoiding exercise had produced a very unhealthy 30-year old who was in need of reform. And while “work Jenni” was high-powered, focused, and ready to tackle any to-do list thrown at her in the corporate environment, “home Jenni” had developed some very, VERY bad habits that were taking their toll in a measurable way. So I decided to “shape up”. I joined a gym in 2010 and ran in a few small races, like the Disney Wine & Dine and the Columbia Muddy Buddy, for “fun”. 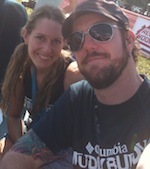 (I found the post-race beer to be “fun” but I’m not sure how much I enjoyed the huffing and puffing, though I often pictured the other race participants in my head as large, floating Cheetos as they passed me by, which made the trek easier to endure). My husband and I began eating organic foods in July 2011, and found out the following month that we were pregnant with our first little one. 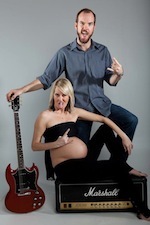 (Preggo rock star picture to the right provided courtesy of one very talented Mr. Tim Rowans). Five months later, I lost my job, kissed the corporate rat race goodbye, and decided to work from home building a network marketing business full-time. It’s been a serendipitous ride, and I’m thrilled to know I began treating my body better–more like the temple God designed it to be–before he blessed us with a baby bun in the oven. Samantha Gayle Smith (read Samantha’s Story here) joined our family in 2012, and that’s when things got REALLY fun. She’s the perfect picture of health, and we’re so thankful we changed our diets and our lives when we first learned we were pregnant. We’ve been on a mission ever since to share our story with other moms and dads to help them raise healthy kiddos. In 2014, our Beyond Organic team rolled into the Youngevity family, and we couldn’t be happier to join such a well-oiled machine with the most incredible upline I’ve ever seen in our profession. Our crew has been fully embraced by the YGY team, and we’ve expanded our 100-product offering to about 2,500 across so many brands within the Youngevity umbrella. The recognition opportunities and the mission-minded culture in Youngevity make it such a pleasure to cheer on our growing team of distributors and customers. And now, with our second little girl (Alexis Eleanor Smith — born December 2015), we couldn’t be more thrilled to raise our kids and our family’s income at the same time. Been looking forward to the tasting this Friday. 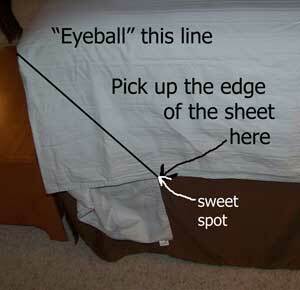 Can you shoot me the directions and times. I’m trying to get my calendar organized today and I left your contact info at work. 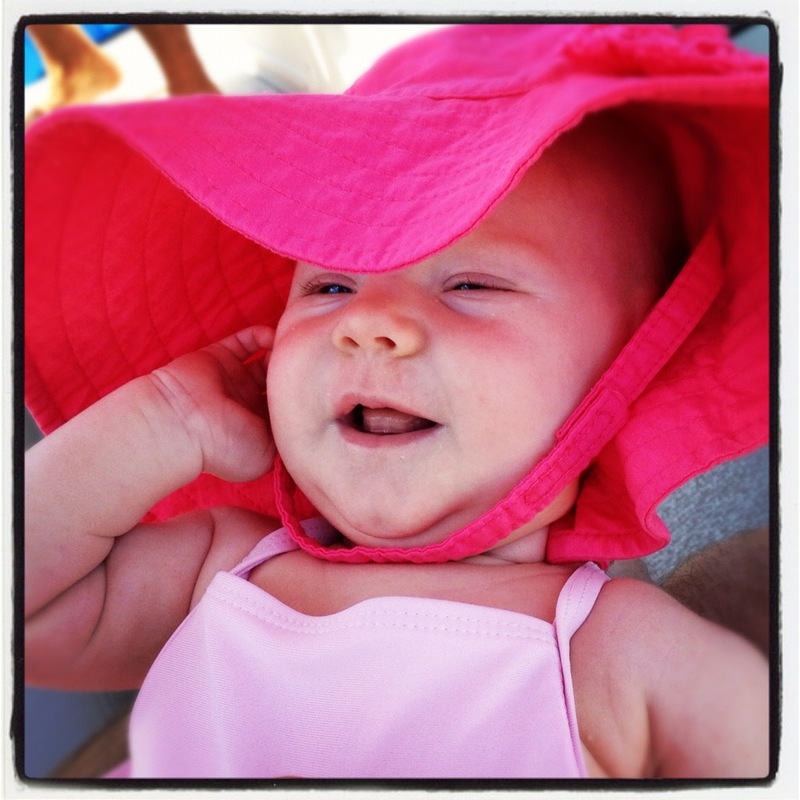 Angella, Can’t wait to see you and Mike! The tasting is in Heathrow this Friday at 7pm. I’ll shoot you the address in an email now, and anyone else who wants to join can simply leave a comment here for more details! Great to meet you! Look forward to growing a business with you all! Hi Jenni! I met you today @ Super Saturday & I loved your testimony. I hope to meet with you & the whole team again soon for more motivation & training!